Reporting on the work of an international team of scientists actively involved in the study of thermoplastic elastomers (TPE) based on polyesters, polyamides, and polyurethanes, this book is the first to provide a detailed description of condensation TPE with close attention paid to polyamide-based systems. Reflecting the increasing importance of TPE as engineering plastics, the authors discuss the widened application opportunities by preparing systems with various chemical compositions and molecular structures as (semi-) interpenetrating networks. The contents also cover the chemical aspects, physical structure and properties, life cycle assessment, and recycling possibilities as well as such unique "smart" properties like the shape memory effect of the three classes of thermoplastic elastomers. Stoyko Fakirov got his MS on Chenistry from Sofia University (1959), the PhD degree (1965) from Lomonossovs`State University in Moscow, and in 1982 his DSc degree. In 1972 he became Assoc. Professor and in 1987 full Professor of polymer Chemistry. Awards and reconitions: Humboldt Fellow (1972) and Humboldt Research Award (2000), Fellow of the Ministry of Eductaion of Egypt, India, Spain, Turkey, Portugal, of JSPS (Japan), of USIA (USA), of NATO-Spain, Editorial Board member of 3 international polymer journals. He has published some 300 papers, has 11 US patents, contributed to 150 meetings and delivered more than 100 invited seminar talks world wide. He is also author or co-author, and editor or co-editor of 11 books on polymers. 3.Thermoplastic elastomers morphology and its evolution during straining. Progress in synchrotron radiation facilities and in method development. 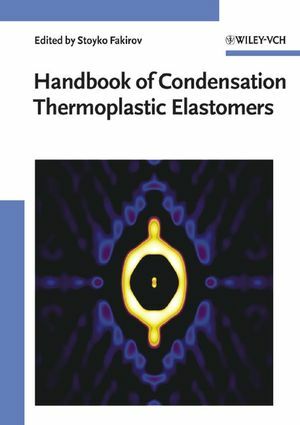 "This very useful volume will be a welcome addition to the bookshelf of any serious researcher in the field of thermoplastic elastomers...In general the various contributions are comprehensive, interesting, diverse, well referenced and well written."